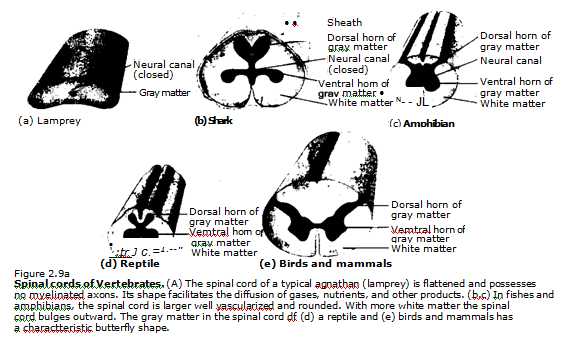 Evolution of the vertebrate nervous system included development of a single. tubular nerve cord above the notochord. 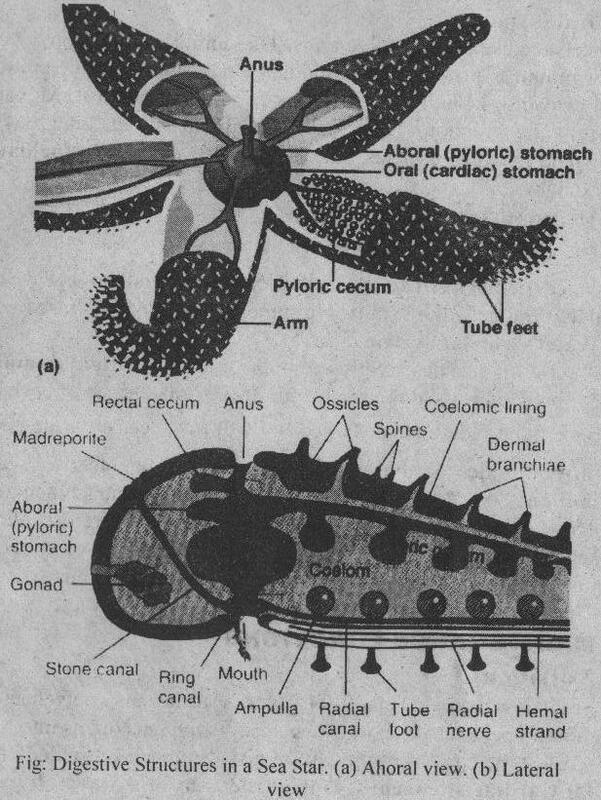 During early evolution, the nerve cord underwent expansion, regional modification, and specialization into an expanded, anteriorly located brain, and a part extending posteriorly from the brain to near or into the tail, called spinal cord. Both the brain and the spinal cord are internally hollow. A cross section of spinal cord shows a neural canal that extends up into the brain and expands into chambers called ventricles. The neural canal and ventricles are filled with cerebrospinal fluid. Fig. 2.9a. Three layers of protective membranes called meaninges (sing: meninx) surround the brain and spinal cord. Dura mater, is the tough, fibrous membrane on the outer side, archnold, is the middle layer and is delicate, the pia mater is the innermost layer and contains blood vessels that nourish the brain and spinal cord. 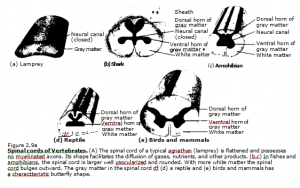 Home » Zoology » How is the vertebrate brain related to spinal cord?